iPhone 5 4G will work in UK on EE network | What Hi-Fi? The iPhone 5 has been launched and EE, formerly Everything Everywhere, has confirmed that its new 4G network has the exclusive for 4G access on the new iPhone 5. The UK's first and currently only 4G network, a join enterprise between Orange and T-Mobile, is today stating that the iPhone 5 will "only be superfast" on its new '4GEE' network. 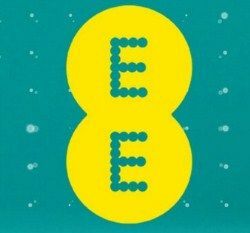 Everything Everywhere confirmed its EE 4G network will launch in the UK in time for Christmas. It will launch in 16 cities and work across a number of devices, bringing faster mobile downloading speeds. As well as the iPhone 5, confirmed handsets for the 4GEE 4G network include two exclusive to EE devices, the Nokia 920 LTE and the Lumia 820 LTE, plus the hugely popular Samsung Galaxy S3 (a new LTE version) and the HTC One XL. Vodafone and O2 seem to have been ruled out of the 4G network coverage for now, with EE getting first dibs before an official Ofcom auction had taken place. The 4GEE network is being tested in Birmingham, Bristol, Cardiff and London at the moment but will ultimately also cover Edinburgh, Belfast, Leeds, Sheffield, Manchester, Liverpool, Glasgow, Newcastle, Southampton, Hull, Nottingham and Derby. EE's 4G network aims to cover 70% of the UK population by Christmas and then reach more than 98% of people by 2014. The 4GEE service will also offer fibre broadband internet, which will be available to up to 11 million homes by the end of the year.